Have you come across an unexplained red, sore or itchy lump on your body? This may be a bite from one of a small number or insects found in the UK. Insects that bite include Fleas, Bedbugs and Mites. Below will be a description of each and how we treat them. Fleas are of the order Siphonaptera. All types of flea are parasitic on warm-blooded animals and most are adapted to living on one type of animal. Some species are able to feed on a number of types of hosts but may only be able to breed when feeding on their primary host. 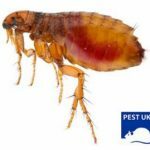 A number of species are pests, but the cat flea is by far the most common flea found in domestic premises. The cat flea is found in association with domestic cats, but is often found on dogs and will bite humans. Fleas cannot jump higher than 6 inches. Before a technician attends we recommend that some preparation be done first. This includes vacuuming the floor areas of the house and focusing on skirting board edges and edges of carpets. Sofas and armchairs can be vacuumed and treated, though this is not essential, as fleas will eventually move onto the treated carpet surfaces. Once the vacuuming is done the vacuum must be emptied into an outside bin. The whole floor area will be sprayed with a residual insecticide, this is non staining and not harmful to mammals but is to all types of insects considered public health pests. Bedbugs are reddish brown in colour, turning blood red after feeding. Adults reach about 5mm in length and pass through five nymph stages over a period of 128 days. The female lays her eggs in batches of 10 to 50, white in colour and deposited on various surfaces with a thin glue. They take about 10 days to hatch and can mature into adults within one to two months given enough food. The females are then ready to start laying eggs. The speed of development depends on temperature and food availability. They are found in bedrooms as they feed at night when the host is asleep. When not feeding they live in the bed frame or cracks and crevices around the room. They do not live in mattresses or bedding. Before the technician arrives we recommend the following is done first. The bed sheets & curtains must be removed and washed. Vacuum and clean the rooms being treated. Empty the drawers and wardrobes of clothes. The treatment will fail if the room is full of clutter. The rooms must be clear of toys, books, boxes, CDs, posters etc. Be careful not to put any of these objects into other rooms as you may spread the infestation. The technician will use a residual insecticide spray. Treating the walls, ceilings, bed, mattress, furniture and surrounding areas in the bed rooms. Barely visible to the naked eye. 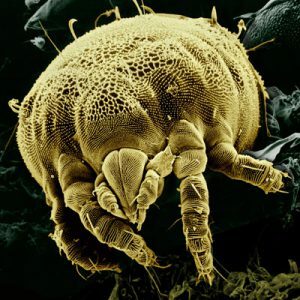 Mites are members of the arachnid family. Bird mites feed on pigeons, poultry, starlings and sparrows. Sometimes known as “Starling Mites” they are most active during Spring and early Summer. Mites feed on the un feathered nestlings, as well as the adult birds. The large amount of nesting material used by the birds provide the mites with an ideal environment to thrive in. They have a short life cycle, about 7 days, and can generate large populations very quickly. When the young birds leave the nest the mites, sometimes numbering in the thousands are left behind. They will move throughout the dwelling searching for new hosts. They bite humans they encounter, but cannot survive on our blood. Because of this ‘test biting’ while searching for a new bird host, the mites inject saliva. This leads to severe irritation with rashes and intense itching. Scratching of the bite marks may result in secondary infections. Bird mites are not associated with the transmission of any infectious disease. Professional treatment with a residual insecticide is necessary and if possible removal of the bird’s nest is the only solution with proofing of the birds entry point as well being necessary. 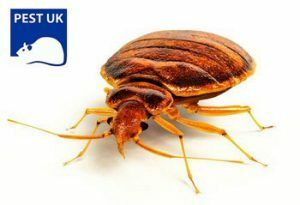 Call us on 0330 100 2811 to book an appointment regarding- Insects that bite, or any other pest problem you may have.